Home Diet Do Polar Bears Eat Fish? 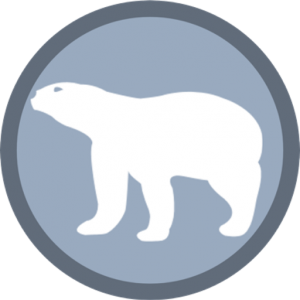 | Do Polar Bears Eat Salmon? Do Polar Bears Eat Fish? 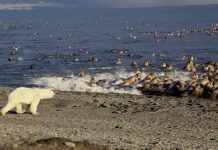 | Do Polar Bears Eat Salmon? Yes and probably no! Polar bears always prefer to hunt bigger animals such as seals or walruses. 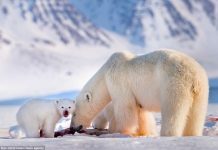 However during warmer months when the ice retreats and they are unable to hunt marine animals, polar bears fancy eating fish as their alternative food. Apart from that polar bears, unlike brown bears, do not often rely on fish for their daily consumption. Let us find out what type of fish do polar bears eat. Do Polar Bears Eat Fish? 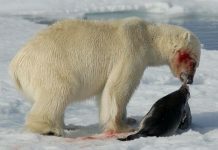 Unlike brown bears, polar bears do not usually eat fish. Brown bears are experts in catching fish. They just stand on rocks and as the fish jumps the bear grabs it with her jaws. Polar bears do not appear to possess any such technique and also the arctic is different from Alaska. But the question is; do polar bears need to catch fish like brown bears do when they spend most of their time in swimming? Certainly not! 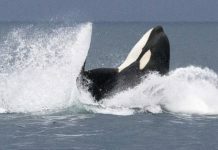 All they need is to swim and follow their traditional prey to supplement their diet. Over the past few years prolonged summers and short winters have forced polar bears to search for alternate prey. Therefore in the eastern Greenland and southern Svalbard polar bears are seen capturing fish. This is a tough ask for polar bears especially if the ice breaks. They need ice not only to hunt seals but also to catch fish. But if the prey is not big enough to satisfy the bear’s appetite it must be nutritious. Fish such as salmon is likely to be a nutritious food that keeps the bear warm in a freezing temperature. Polar bears are also thought to catch Arctic charr (Salvelinus alpinus) as well as fourhorn sculpin during swimming. We have listed all different types of fish which polar bears eat in its entire life. It's true that fish isn't polar bear's primary diet, but the bear is an opportunistic hunter and it eats just about any animal no matter how small it appears to be. How Much Do Polar Bears Eat?